As Christmas is approaching I think it's time I write my Christmas wish list! I LOOOOOOOOVE this part of Christmas but this year I really did struggle, like its not so easy writing a list of things you want! But I thought of a few things that I have had my eye on recently and each one is fabulous in their own way! Its not as exciting as lasts years list anyways but these items range from high street to designer so there is something for everyone! I'm really enjoying doing my eye make up recently and this shadow palette by Fuschia is ideal for a matte smokey look! Its a girls best friend and can create so many looks for a day time or night time look! This is the colour of the season and Mac have teamed up with the right lady to get this amazing shade! Every girl needs this in her stocking this year! hehe. I love me a cosy winter coat and the fur collars are all in this season and these two jackets from Missguided are well worth the money! The fur can be taken off, and with or without it is a stylish piece you can have for years! 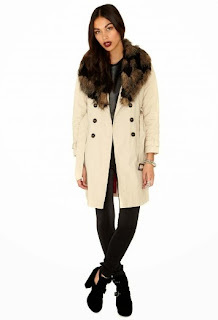 This coat adds to the pleather trend with the foax leather sleeves and the larger than life fur collar! 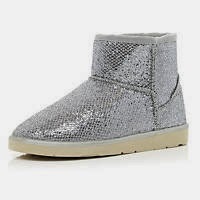 These little cuties are from River Island and they are the ankle boots of all ankle boots! Who wouldn't want a pair of these? They're the new version of Cinderella's Slippers! I got my Panadora bracelet last Christmas from Santa and I love it, even though I haven't expanded on my two charm collection just yet Ive had my eye on these two charms! They are matching the Red & Silver theme of my bracelet and are literally my ideal charms! Obviously Santa listened very well to me this year he decided to make these just for me! 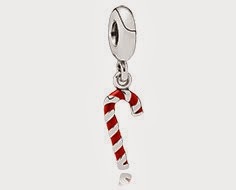 Both of these charms (tea cup & candy cane) are available from Panadora stores Nationwide and Online! 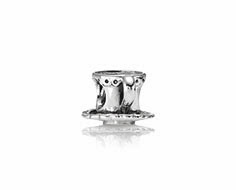 This is also another item from Panadora's new collection and its one of there 'Better Together' Rings and its such a stunning and simple piece that every girl should have! 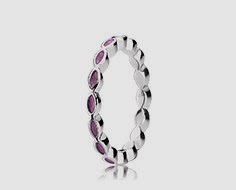 It comes in a wide variety of colours to suit everyone but of course, I choose pink! This year I decided that I need a new everyday go to bag! I like larger bags for every day use and I tend to bring everything bar the kitchen sink with me so a small bag just wont do! 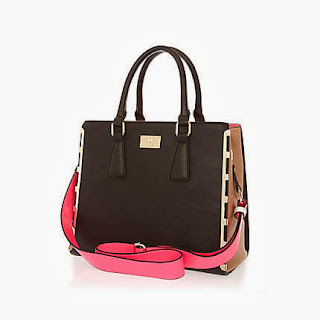 And in my opinion the only arm candy needed by a woman isn't a man, its a fabulous bag! 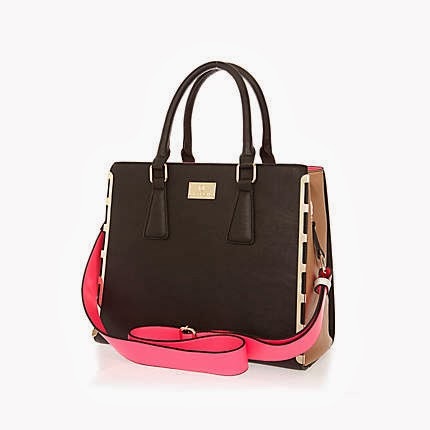 I found a bag that instantly caught my eye and then caught it again when I seen it in another colour, it's from River Island by the way! It also comes in an amazing lime green colour, it's to die for! But I'm on the hunt for an everyday bag and lime green clashes with somethings unfortunately but I'd be happy with either bags! It just means whichever one I don't get off Santa, I buy in the sales! When flicking through the pages of the Boots Christmas Catalogue I noticed a few new things they added to their range of food gifts; STARBUCKS!!! Now if your a coffee lover like myself you will understand why a Starbucks gift is probably the best gift you could ever get. This years boots teamed up with Starbucks and created 3 gifts sets ranging from 16-22 euro, great value! My favourite is definitely the Carmel Syrup set as this Syrup always seems to be sold out in and Starbucks coffee shop when I go to buy it! This is my own personal Christmas Wish list so if you have anything on your wish list you'd like to share, leave a comment below, I'd love to know! I'm sorry but, who are you?